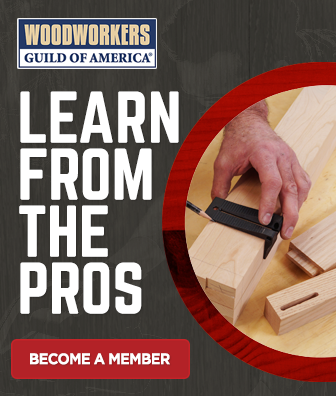 The table saw is perhaps best known for its prowess in lumber ripping operations, but with a little bit of time and setup, you can also learn how to cross cut like a boss on your table saw. It’s simple to turn your table saw into a precision cross cutting machine, and once you know how to cross cut on your table saw, I bet you will find that it is more fun and accurate than cross cutting with a hand saw. If you still prefer the hand saw, oh well, at least we tried! 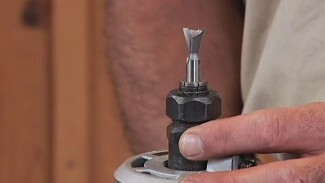 Make an auxiliary face for your miter gauge. This step will add support for your cut, and will extend the reach of the miter gauge so that it goes beyond the blade to provide greater accuracy. Cut through the auxiliary face. “What??? I just made it, and now you want me to cut it?” This will indicate the exact position of the blade and help you align each cut. And besides, you were going to have to cut it at some point anyway. Test cut. Measure a board and draw a line at a precise even increment such as 10”. Place the line carefully on the inside of the cut that you made in the auxiliary face of you miter gauge. Be sure that the line is perfectly positioned, then make your test cut. Visually inspect the board to see if you hit the line exactly, and measure the board to verify that it is the length the you had intended to cut. Now that you know how to cross cut, you are ready for some projects. 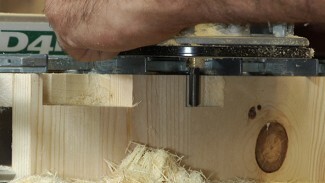 For more information on table saws, peruse the many videos available on wwgoa.com. 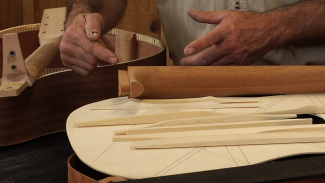 Bending wood is one of those techniques that can have a dramatic effect on a woodworking project, but many woodworkers shy away from it because it seems intimidating. 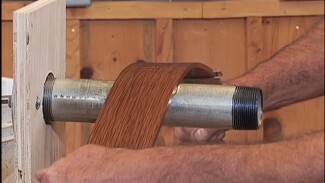 Watch this demonstration by our expert woodworker George Vondriska to learn a simple, worry-free approach to bending wood quickly using a heated iron pipe.